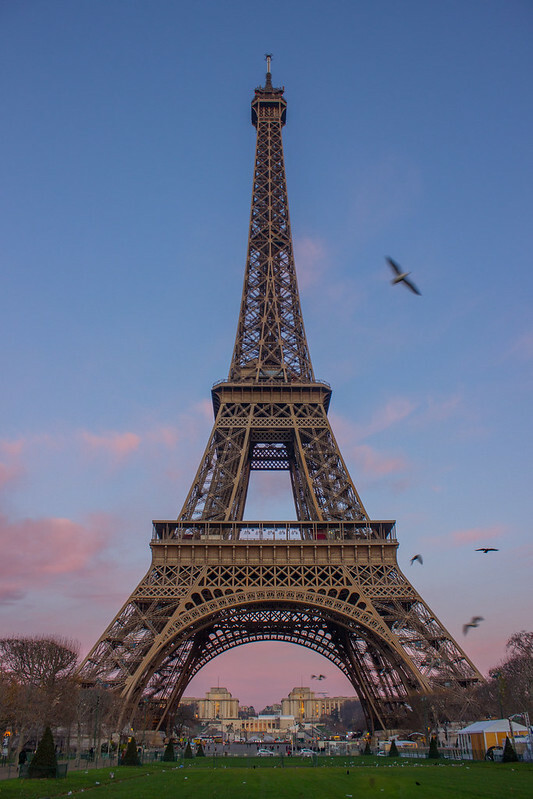 One of my favourite books of all time is Anna and the French Kiss, and on my trip to Paris over New Year I decided to visit some of the spots Anna goes to in the book. What I adore about the book is that Stephanie Perkins managed to make Paris a character in itself, and you couldn’t help but feel that you were right there with Anna, seeing Paris through her eyes. 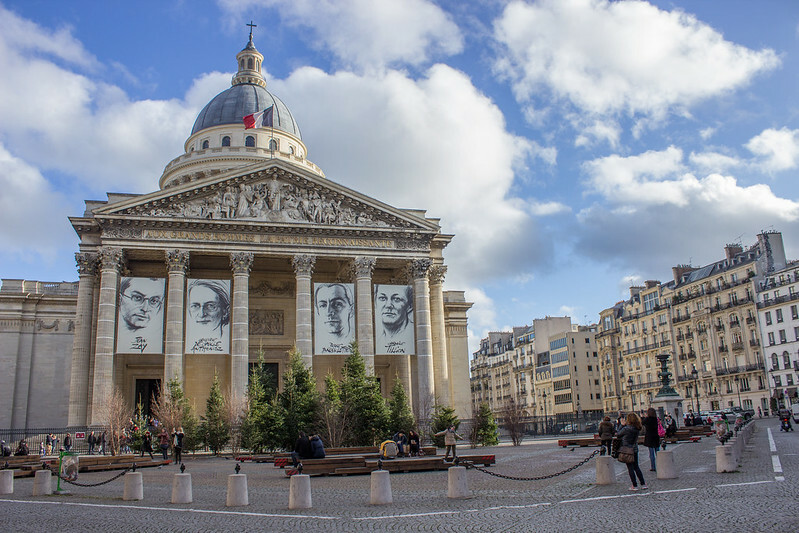 The majority of places Anna visits are in the Latin quarter kind of area, and I feel like some of them are not on the typical tourist’s radar – certainly, some of them weren’t places I’d have thought about visiting if it wasn’t for my love of the book. 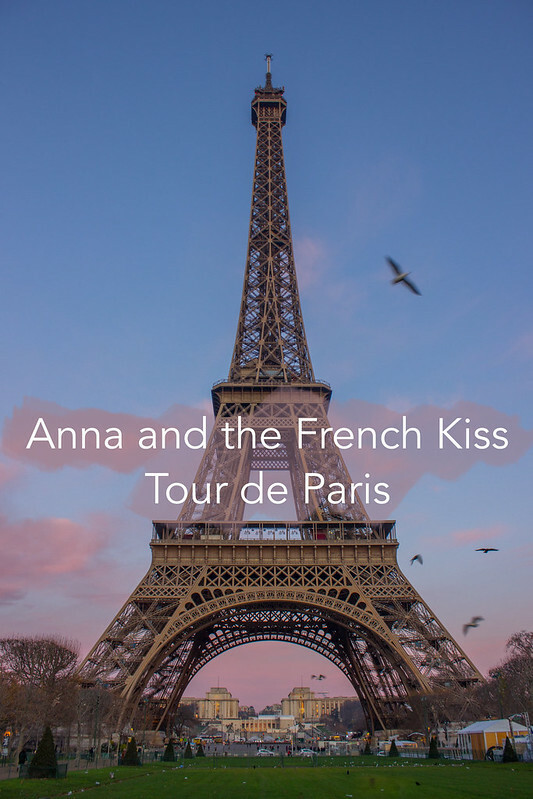 I’ve put together a map on Google Maps in case you’re on your way to Paris any time soon and fancy doing the Anna and the French Kiss Tour de Paris. Places marked in red are ones in the Latin Quarter kind of area and we managed to all of those in one day. The blue markers are spread out a little further but I think you could do all of those in a day too, especially if you hop on and off Line 1 and Line 2. I’m there. I’m on top of Paris. 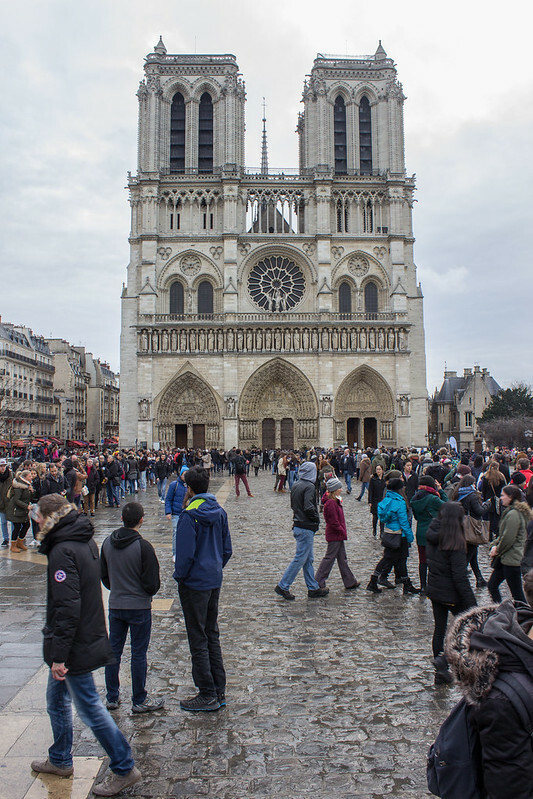 Let’s start off with one of the most popular ones first, and if you actually do want to go up the towers of Notre Dame, I recommend an early start to avoid long queues. Towards the end of Anna and the French Kiss, Etienne follows Anna up the towers of Notre Dame, despite his fear of heights. In the book, it seems like the top of the towers are fairly quiet, but it was anything but when I went. It’s well worth it for the beautiful view across the city. I wish for the thing that is best for me. 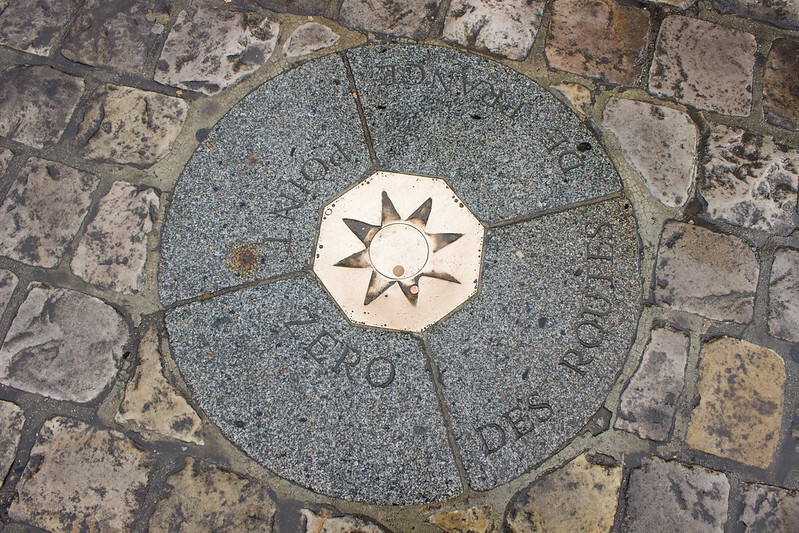 If you look carefully on the floor outside Notre Dame, you will find ‘Point Zero’ – it blends in with the stones well and does take a bit of effort to find. This is the point at which all measurements from Paris are taken. Etienne takes Anna to this spot not long after she’s moved to Paris, and encourages her to make a wish on the star. Also, something super sweet happens here later on in the trilogy. Here books totter in wobbly stacks, fall from the seats of chairs, and spill from sagging shelves. There are cardboard boxes overflowing with books, and a black cat naps beside a pile on the stairs. 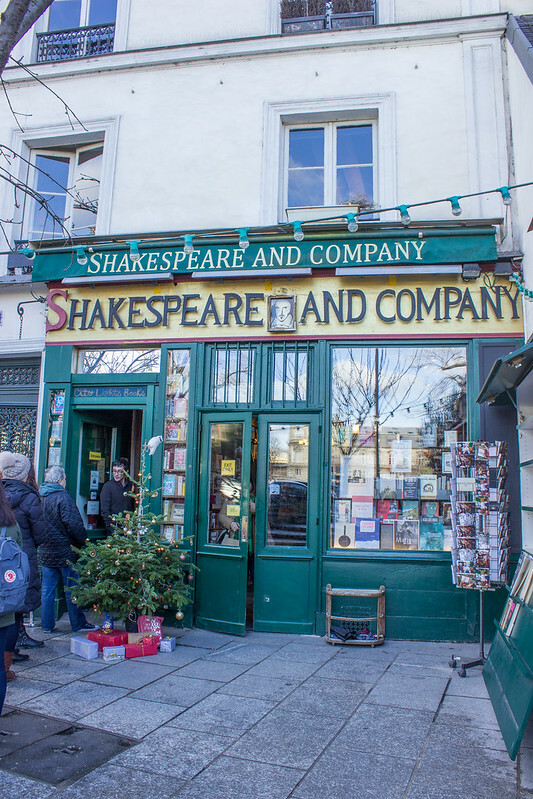 One of the most famous bookshops in the world, Shakespeare & Company is where Etienne buys Anna a copy of Pablo Neruda’s poems. This place is a must visit for any booknerd. It’s a maze of books and Pinterest-worthy book nooks. Unfortunately, it can get pretty busy and because it’s so tight and twisty, it can be hard to get around, but it is well worth the visit. I was hoping they’d have a copy of Anna and the French Kiss in stock when I went, but they didn’t – you can buy it from their website though and get it stamped. I’ve always been a bit propriety about it. Mum used to bring me here when I was young. We’d take a picnic lunch and eat it right here on the steps. Saint Etienne’s is a beautiful church nestled next to the Pantheon. 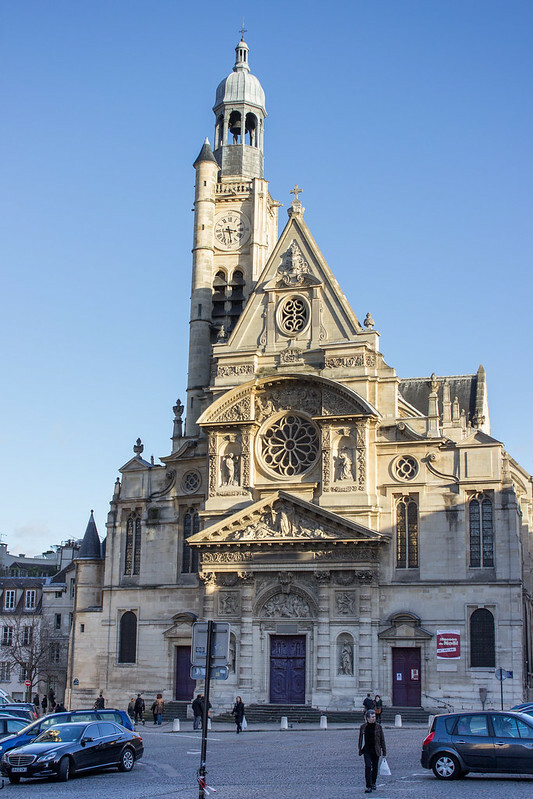 In the book, Etienne drags Anna across the road to see his church before taking Anna to the banks of the Seine to see the Notre Dame. Before I went, I googled it and it looks absolutely stunning inside, unfortunately it was closed when I went. It’s so beautifully and detailed – I think it’s actually my favourite building in Paris. Let’s see some dead people. Anna and Etienne visit the Pantheon and get in an argument with a rude American tourist who complains about how slowly Etienne is walking down the stairs. The building itself is stunning on the inside and outside, it’s dome standing out proudly and beautifully on the Parisian skyline. In the crypt, you’ll find some of France’s most important people buried. And then the darkness gives way to white neon. 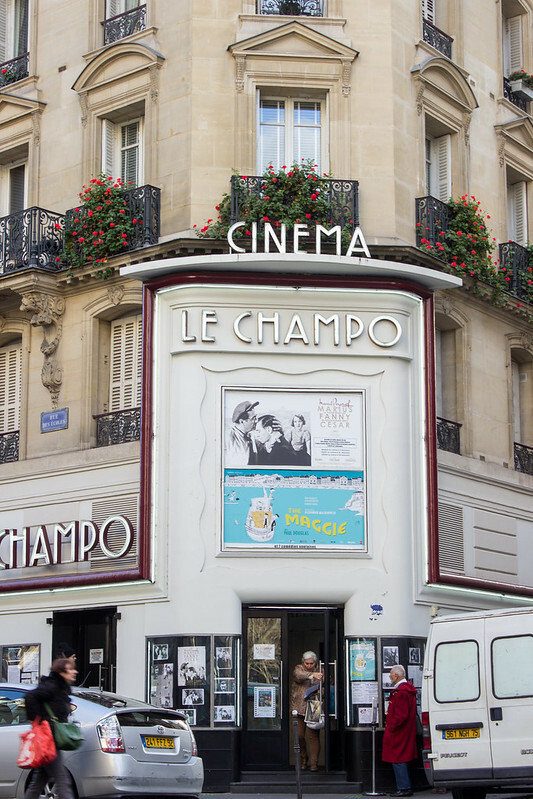 An Art Deco font, burning into the night, announces our arrival at CINEMA LE CHAMPO. This is the “mom and pop” cinema Anna loves to frequent to get her film fix. I didn’t actually think this place was real – I just assumed it was made up, so when I saw it I was bouncing about pointing at it, racing to get my camera out. If you ask me to kiss you, I will. When the sun is out, Jardin du Luxembourg is seemingly the place in Paris to relax. Even with the chill of December, people were sitting around relaxing like it was the height of summer. 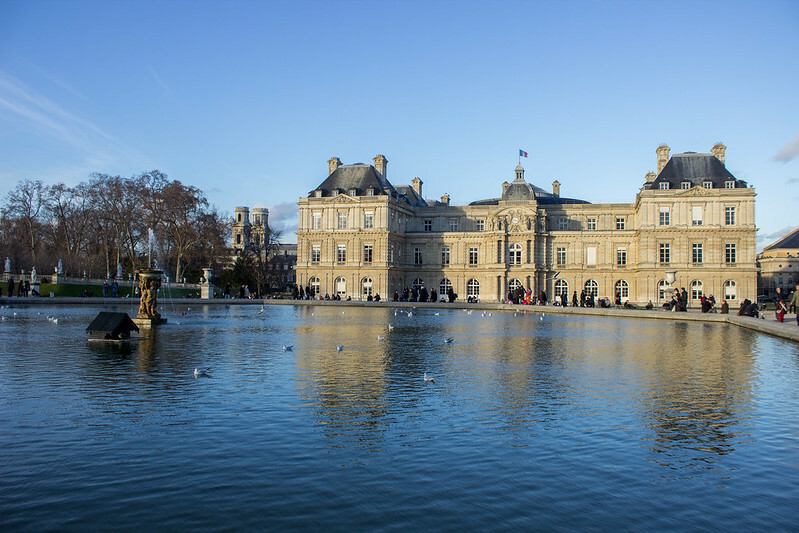 After Etienne receives news that his mother is clear of cancer, he and Anna decide to skip Mer’s football game and laze in Jardin du Luxembourg, before being caught kissing by Mer. There are a few locations that are a bit more spread out. You could slot them into your trip if you’ve got other bits planned, or you could do them all on one day if you follow Line 1 and then switch to Line 2 to Pere Lachaise at Nation. 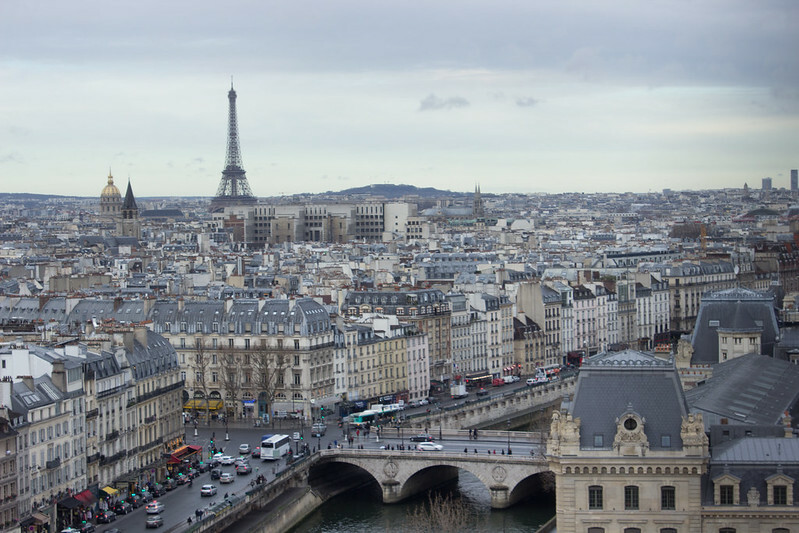 It’s a quieter city than Paris, but no less impressive. Granted, a cemetery is a weird place to visit on holiday but is it weirder than Anna, Etienne, and the rest of their friends having a picnic in Pere Lachaise on Halloween? 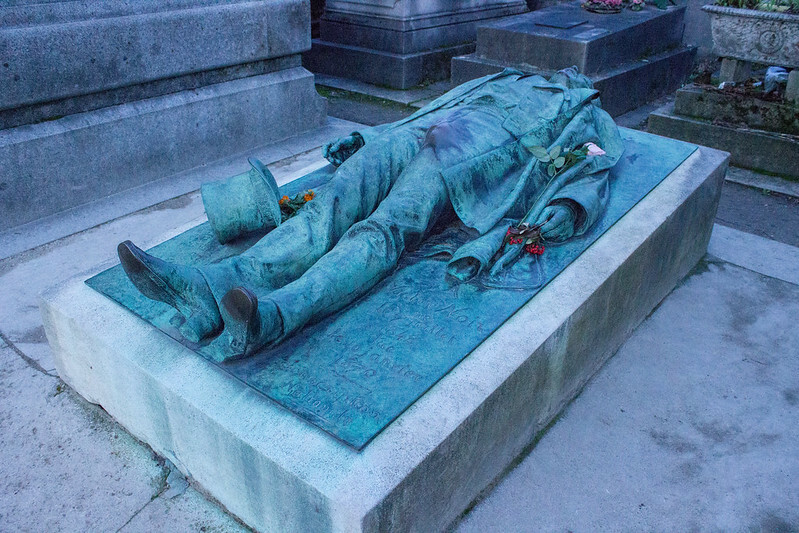 It’s a little out the way in comparison to most other attractions in Paris, but it’s worth it for the morbid curiosity – Pere Lachaise is the final resting of many famous people, including Victor Hugo. If it wasn’t for reading Anna and the French Kiss, I wouldn’t have visited Pere Lechaise, but after hearing Etienne explain the story of Victor Hugo, I needed to go. As you can see from the photo, Victor Hugo’s ‘gentleman region’ has been rubbed so much over the years that it’s a completely different colour to the rest of the memorial. “Why?” you may ask; legend has it that rubbing Victor’s victor brings women husbands and does some magic fertility wizardry. Yep. You read that right. Anna visits the Eiffel Tower with Mer in her first month in Paris, but it’s only mentioned in passing in the book. Still, no trip to Paris would be complete without a trip up the Eiffel Tower. The art museum is called the Louvre and it’s shaped like a pyramid and the Mona Lisa lives there along with a statue of a woman missing her arms. Anna doesn’t actually visit the Louvre; it’s one of the few things Anna knows about France at the beginning of the book. I didn’t rate it much when I first went to Paris a few years ago (way too crowded), but the building is certainly worth a look at. Have you ever been to a play because it appears in your favourite books / films?